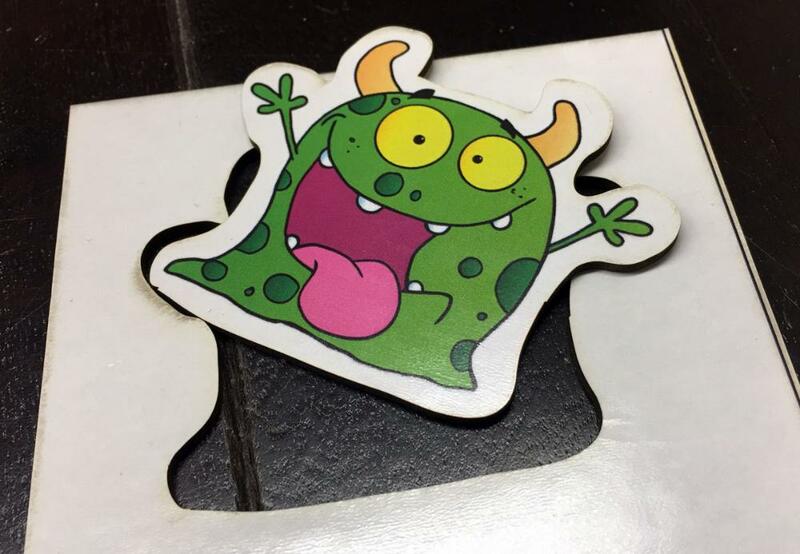 With custom punchouts and card stock, you can design your own shapes to be cut on our lasers. You choose the size of the slug you want to use, and then create the artwork and the cut lines! For the first time, you can have truly bespoke game pieces in a print on demand game. All custom punchouts are printed and made of 60 point (0.06 inches) thick chipboard. All custom card stock items are printed and made of 305gsm/ 165 Lb black-core card stock. The slug sizes for custom punchouts are 3.25" x 5.25" for small, 8" x 4.5" for medium, and 8.25" x 10.5" for large. The slug sizes for custom card stock are 2.5" x 3.5" for mini, 3.25" x 5.25" for small, 8" x 4.5" for medium, and 8.25" x 10.5" for large. Sheet - The material being cut. Cut Line - A vector line drawn representing where a laser will pass to cut into the slug. Part - An individual component within a slug that will be used by the game once cut. Nick - a gap in the cut line that allows the part to remain attached to the slug after cutting. Tie - The piece of material that is left over due to a nick. All cut lines must have at least 3 nicks, evenly spaced around the shape. These nicks should be .01” wide. The nicks will leave ties to the slug that will keep your part from falling out of the slug. Any parts without ties may be lost. Do not add cut lines to represent the slug, they will be added automatically. Feel free to put as many objects as you like on a slug, just make sure all cut lines are at least 1/8” apart. There are a number of special cases you may want to be aware of. Join lines wherever possible to have one continuous path rather than small segments of line. This will yield a higher quality edge. Line thickness does not affect the cut line. Lines will be cut only down the center of any line. Having lines cross will result in pieces becoming disconnected. Check for duplicate vectors/lines directly on top of each other. This can result in a line being cut twice which can affect edge quality and size, which will add time costing more money. Using the “Flatten Image” tool in Illustrator can help eliminate stacked lines. Order your cut lines so that they happen one after the other. Making the laser go back to an area it has already cut will slow down the process, and will cost you more money. For optimizing your SVG file, you should assume the laser starts at 0,0 (the top left). SVG or Scalable Vector Graphics is the file format that we use to define cut lines for custom punchouts. It is a vector format, which means that the image is defined by lines rather than by pixels. Vectors are created by programs like Adobe Illustrator and Inkscape, where as programs like Adobe Photoshop and The Gimp create raster files, or files defined by pixels. SVG was first designed for screens, not for manufacturing, so it has a few weird quirks. The most notable of them is that vector programs don't have the same meaning for lengths. For example, an inch is 25% longer in Inkscape than it is in Illustrator. This is because behind the scenes both programs use something called User Units to define their shortest length. User units are best thought of as pixels or dots. When you upload your SVG file to The Game Crafter, our software will ask you how many dots per inch (or DPI) are defined by the program you used. When you export an SVG file for our cutting system it cannot have any bitmap/raster images embedded in it (even if they are hidden). Make sure you delete those layers before generating the file to upload. Adobe Illustrator exports SVG files at 72 DPI. While this video specifically mentions custom punchouts, the process is the same for creating custom card stock items. Next, watch the video below to learn how to optimize your files in Illustrator for cutting. While this video specifically mentions custom punchouts, the process is the same for creating custom card stock items. Inkscape exports SVG files at 90 DPI. While this video specifically mentions custom punchouts, the process is the same for creating custom card stock items. Next, watch the video below to learn how to optimize your files in Inkscape for cutting. While this video specifically mentions custom punchouts, the process is the same for creating custom card stock items. 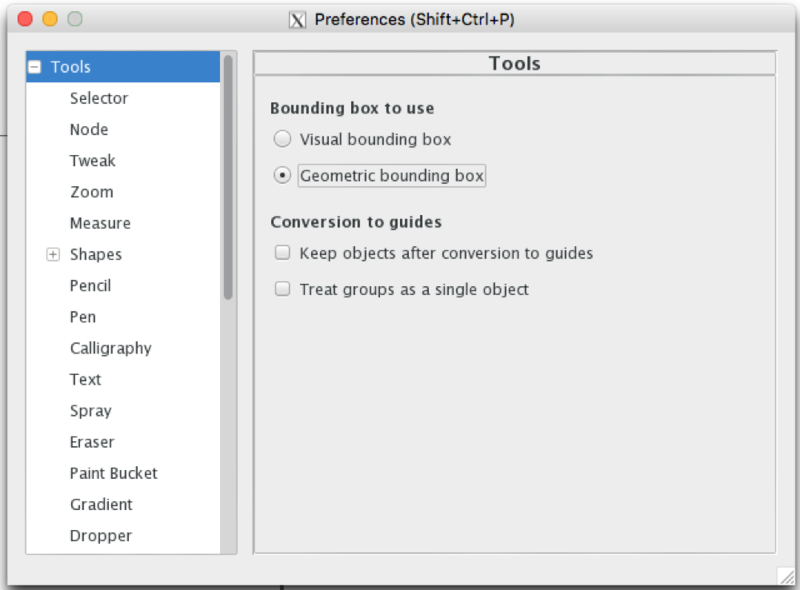 Before you create a set of cut lines in Inkscape, go into Edit > Preferences and select "Tools". There, select "Geometric bounding box" rather than the default of "Visual bounding box". If this is not done, then the outer thickness of the lines drawn will be factored into where things are cut. However, our cutting systems measure from the center of the line, regardless of its thickness. Therefore, Geometric bounding box will solve this problem. 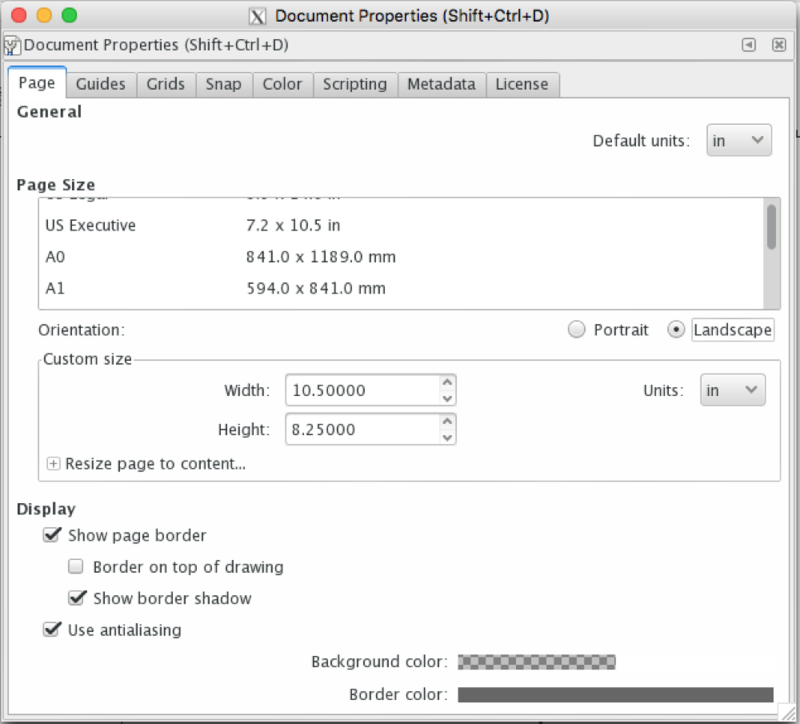 When creating a new document in Inkscape, if you are not using our starting template, set Default Units and Custom Units to Inches. 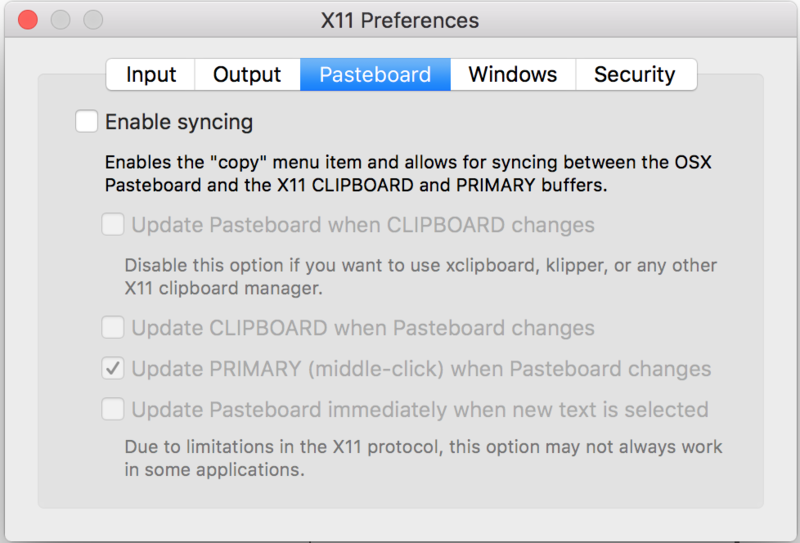 If using Inkscape on a Mac, be sure to go into XQuartz Preferences and disable Pasteboard syncing. If this isn't done, then when copying a vector, it will automatically turn into a bitmap, destroying the cut lines.